During the holiday break, I read Stephen Hawking’s The Theory of Everything. Reading this book was excruciatingly agonising. If not for the awesome Christmas dinner my friends Marilena and Kostas cooked for our big group of Greek friends, and the wonderful Yorkshire Bettys tea and Christmas cake supplied, along with plates, teacups, classical music and a comfy sofa, by dear friends Angela and John, and many miles of hiking, running and biking, I might have lost sanity a little bit. 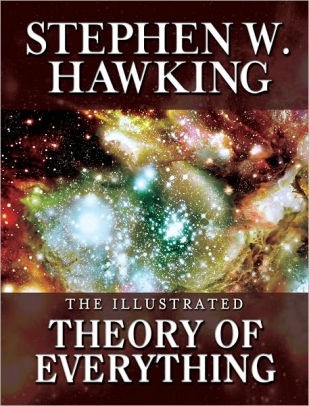 This book stirred up so many questions in me about black holes, the universe, God(s? ), our existence and so on. You could almost insert a why question after every single sentence in this book. That is how I pleasantly suffered through reading it. There really is a complete unified theory, which we will someday discover if we are smart enough. There is no ultimate theory of the universe, just an infinite sequence of theories that describe the universe more and more accurately. There is no theory of the universe. Events cannot be predicted beyond a certain extent but occur in a random and arbitrary manner. I am most inclined to argue for the second and third possibilities. Perhaps this has something to do with my own resignation that if the first possibility is true, there may be no meaning of my own work and existence if not towards that ultimate quest of finding that unified theory and I am neither a physicist nor an mathematician. I had to repeatedly seek comfort in hiking in the woods to think and to reconcile what I could do with my minuscule amount of knowledge and time on the earth (relatively speaking, totally negligible at the grand scheme of the universe). This is how 2017 ended and 2018 started: with a very long hike in the Santa Cruz Mountains, and the thoughts provoked by two great books The Very Hungry Caterpillar and The Theory of Everything, and the question what challenges to set for myself next.